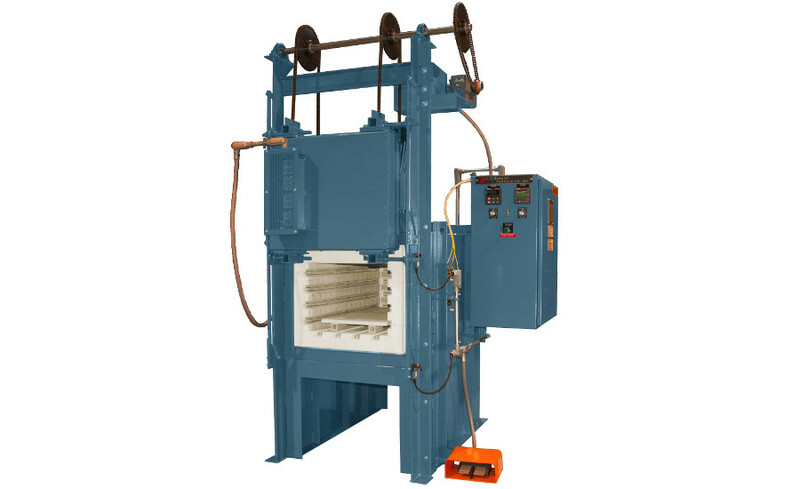 Fastener Manufacturer Orders Box Furnace - L&L Special Furnace Co, Inc. The furnace has working dimensions of 16 inches wide x 10 inches high x 20 inches deep. It is capable of heat treating a wide variety of tool steels (from D2 to high-speed M2) along with low-temperature tempering. The furnace is insulated with 4.5 inches of lightweight insulating firebrick and backed up with 2 inches of insulating board. The bottom is reinforced with a high-density calcium silicate for extra support for the load weight. The furnace hearth is an upgraded silicon-carbide hearth with ceramic support. Elements are very evenly spaced around the chamber. There is an electrically operated vertical door with a foot switch. Included is a NEMA 1 control cabinet with a Watlow F4 program controller, high-limit backup system, thermocouples, fusing and all interconnection wiring. Power control is accomplished with quiet two-zone, long-lasting solid-state contactors. The equipment was sold through W.H. Kay, one of L&L’s representatives.